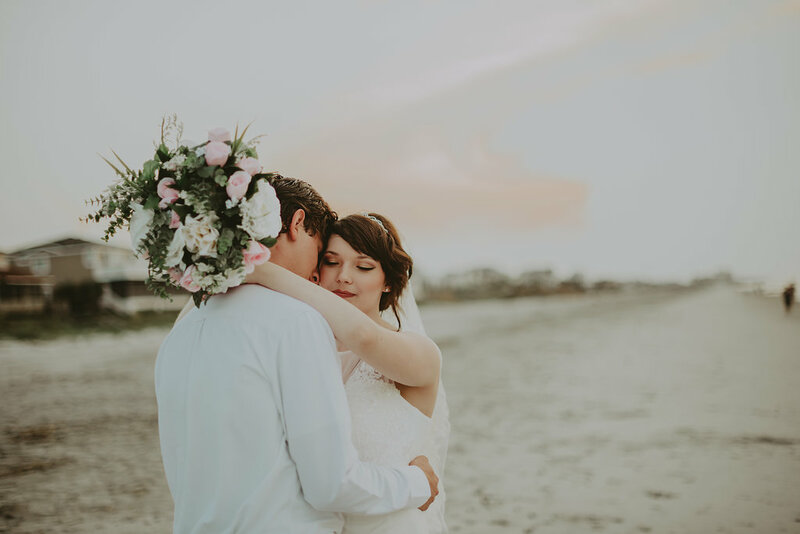 Located in Charleston, South Carolina, we are the original beach wedding company in the area. We specialize in beach weddings just minutes away from historic Charleston. Whether you want a simple ceremony for the just the two of you or a processional with eight attendants and seventy-five guests, we provide everyone and everything you need for your ceremony. 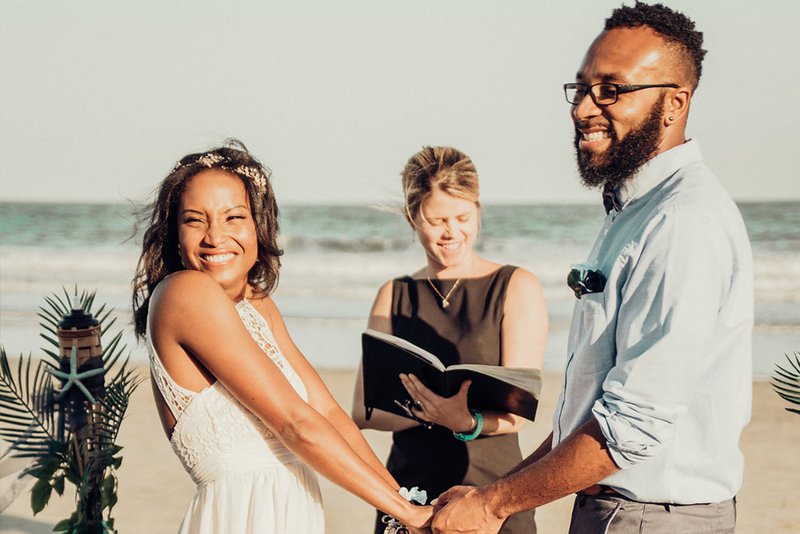 From the officiant, the musicians (solo, duo, or trio), the videographer, photographer, arch and seashell aisle, we take care of every detail of the ceremony itself, giving you flexibility and affordability in our pricing options. But we also provide a lot more. As part of our services, we give you valuable information that will make the selection of beach house rentals, hotels, b&bs, restaurants, caterers, pastry chefs, hair and make-up specialists and other vendors simple and easy.